THE SCIENCE BEHIND ACC TECHNOLOGY. 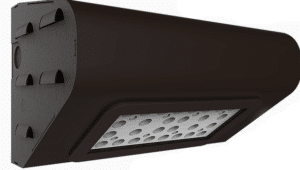 ACC Technology is designed to deliver the greatest efficacy in today’s LED market by utilizing 28 thermal exchange ducts through which cool air is actively vented to drastically reduce the core junction temperature of high power LEDs. 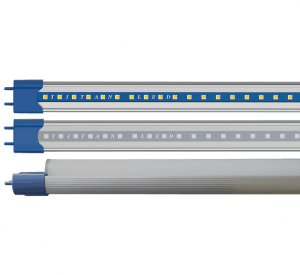 ACC TECHNOLOGY PREVENTS HEAT SINK FROM REACHING FULL SATURATION LEVEL, THEREBY CONSISTENTLY MAINTAINING THE GREATEST LEVEL OF LIGHT OUTPUT A HIGH POWER LED CAN PRODUCE. 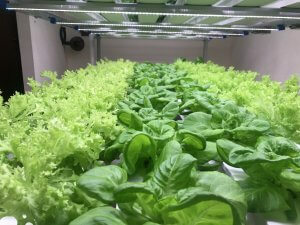 High power LEDs generate a great deal of heat. Heat, however, has a deteriorating effect on the light emitting properties of any LED. It also reduces the amount of light a LED can produce, which is why LED lighting fixtures are brighter when they are initially lit and dim as they heat up. 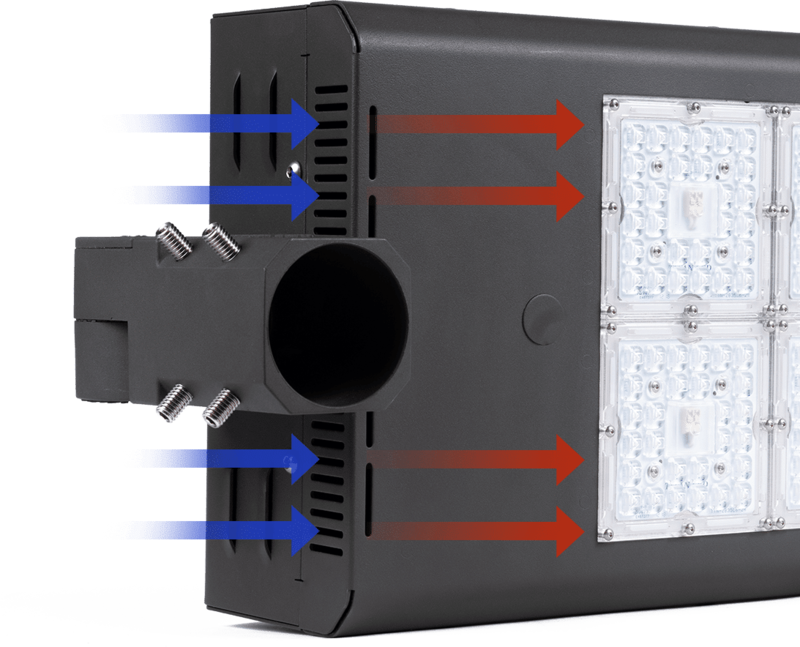 As a result, the fixture may lose as much as 20% of light once the heat sink they are attached to reaches its heat saturation level. Our patented ACC Technology solves this technological issue.